The East Timor - Timor Leste website is a commercial Business Register for gaining information about accommodation and businesses in East Timor. It has the biggest list of directly accessible Dili Accommodation. 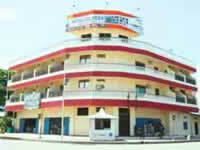 There are many fine places of accommodation in Dili and other areas of East Timor - Timor Leste. However, the list includes from humble to luxury. The East Timor - Timor Leste Business Register website will be the hub of all business information in East Timor, Dili and surrounding areas. Location: Rua Villa de Maumeta, Atauro Island, Dili, Timor - Leste. Own Bath Room, Serviced Daily, Meals Available, Linen Provided, Back up Power, Internet. All meals available from adjoining Italian restaurant, Opposite boneca de Atauro, Handycraft, Workshop. 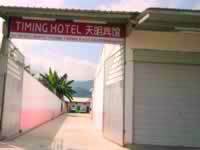 Rate: From US $ 15 Per Person / Night. Location: Avenida Ilha de Atauro of Beloi, Atauro Island, Dili, Timor - Leste. Facilities: Meals Available and Off Road Parking Facilities. Also available by appointment shutlle boat ( Max - 25 Person ) , $ 10 / Person one way , and the Trip take 2 Hours. Location: Estrada de Ilicnamo of Beloi, Atauro Island, Dili, Timor - Leste. Own Bath Room, Washing, Meals Available,Off Road Parking, Linen Provided, Back up Power, Internet, Breakfast Included. Breakfast, Lunch, Dinner, Internet Included in Cost, Beach Front, Snorkelling, Fishing, Hiking, Bicycles. Location: Beloi, Atauro Island, Dili, Timor - Leste. Meals Available,Off Road Parking, Back up Power 24 hrs, Wifi, Dive Centre, Mountain Bike Rental, Snorkelling. Beach front with house reef. Location: East Coast of Atauro Island, Timor-Leste. Daily Rates are inclusive of Breakfast. Air Conditioning, Own Bath Room, Sat TV, Serviced Daily, Washing, Meals Available, Off Road Parking, Back up Power, Internet, Breakfast - Lunch & Dinner Included, Snorkeling Gear, Boat Rental, Mountain Top Sunset Tours, Gomin Massage, Atauro 4x4 Scenic Tour, Half and Full Day Car Rental, Mountain Bike Rental, Full day mountain trek. Beloi Beach Hotel welcome you to the island of Atauro, Timor - Leste. - US $ 100 per night for up to four people; - US $150 per night for up to six people (or four adults and four kids). - Longer rates negotiable. Own Bath Room, Fridge, Own Cooking Facilities, Coffee Making Facilities, Serviced Daily, Linen Provided and Solar Power. 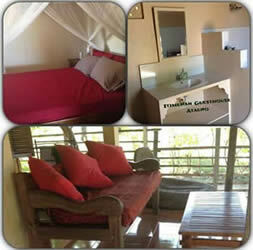 Beach side vila with two queen size bedrooms, Verandah with day bed, Open dining living area and fully equiped kitchen. * 2 Days 1 Night 4 Dives $ 500. Location: West Coast of Atauro Island, Timor - Leste. Offering Superior accommodation and dining, Balibo Fort Hotel is a Stunning Mountain retreat set within the 300 year old Balibo Fort. Air Conditioning, Own Bath Room, Own Cooking Facilities, Serviced Daily, Washing, Linen Provided, Restaurant. Also we have kiosk in side the Restaurant. 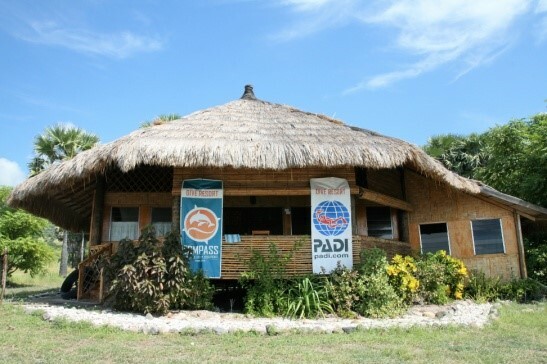 Other Information: Casaminha Backpackers offers accommodation in Dili, Guests can enjoy the on site restaurant. Air Conditioning, Sat TV, Fridge, Own Cooking Facilities, Serviced Daily, Washing, Meals Available, Linen Provided, Back up Power, Internet, Breakfast Included. Dili's Newest and Coolest Backpackers all features in the CBD only a short walk. Serviced Daily, Washing, Meals Available, Off Road Parking, Linen Provided, Back up Power, Breakfast Included, Restaurant and Bikecycle Rental. Outskirt of Dili and this guest house during the resistence. Air Conditioning, Shared or Ensuite bathroom, Satellite TV, Hot Water, Fridge, Coffee Making Facilities, Serviced Daily, Washing, Meals Available, Off Road Parking, Linen Provided, Back up Power, Internet , Breakfast Included + Kitchened. Offering a terrace and views of the sea, Moby's Hotel Lda is situated in Dili. Guests can enjoy the on-site restaurant. Free private parking is available on site. Some rooms feature a seating area where you can relax. A flat-screen TV with cable channels is available. 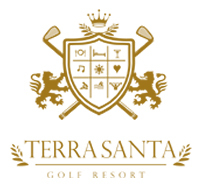 You will find a gift shop at the property. You can engage in various activities, such as snorkeling and cycling. The hotel also offers bike hire. The nearest airport is Presidente Nicolau Lobato International Airport, 6 km from the property. Air Conditioning, Own Bath Room, Satellite TV, Hot Water, Fridge, Own Cooking Facilities, Coffee making Facilities, Serviced Daily, Washing, Meals Available, Off Road Parking, Linen Provided, Back up Power, and Breakfast Included. Other Information: In the City. Air Conditioning, Own Bath Room, Satellite TV, Hot Water,Own Cooking Facilities, Coffee making facilities, Serviced Daily, Washing, Meals Available, Off Road Parking, Linen Provided, Back up Power, Bar, Karaoke, Live Music & Internet. Other Information: Come and Dine with us. Enjoy quality food in lively atmosphere. Air Conditioning, Own Bath Room, Satellite TV, Hot Water, Serviced Daily, Washing, Meals Available,Off Road Parking, Linen Provided, Back up Power, Swimming Pool, Gym, Big Parking Area, Cars Rental. Just Five Minutes from Nicolau Lobato International Airport. Air Conditioning, Own Bathroom, Satellite TV, Hot Water, Fridge, Coffee Making Facilities, Serviced daily, Washing,Off road parking, Linen provided, Back up power, Bar & Restaurant, 24 hours security. Air Conditioning, Own Bathroom, Satellite TV, Fridge, Own Cooking Facilities, Coffee Making Facilities, Serviced daily, Washing,Meals Available, Off Road Parking, Linen Provided, Back up power, Airport Pict up, Free Wireless, 24 hours Security. This guest house 100% Timorese Owned and Managed. Beds: Single, Twin, Queen , Double. Air Conditioning,Own Bath Room, Satellite TV, Hot Water, Fridge, Own Cooking Facilities, Coffee Making Facilities, Serviced Daily, Washing, Meals Available, Off Road Parking, Linen Provided, Back up Power, Internet, Breakfast Included. Beach with white Sand, Natural bay for Swimming with Crystal Clear, Blue Water, and Amazing Sunset. Air Conditioning, Own Bath Room, Satellite TV, Hot Water, Fridge, Own Cooking Facilities,Coffee Making Facilities, Serviced Daily, Washing, Meals Available, Off Road Parking, Linen Provided, Back up Power, Breakfast Included and Common Garden. 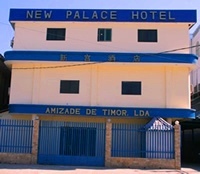 100% Timorese Owned and Managed, The Hotel near to the Mãe Da Graça Fuel and Timor Plaza. From US $ 30 per Night - US $ 350 - 600 per Month. Air Conditioning, Own Bath Room, Satellite TV, Hot Water, Fridge, Own Cooking Facilities,Coffee Making Facilities, Serviced Daily, Washing, Meals Available, Off Road Parking, Linen Provided, Back up Power, Breakfast Included. Just 5 minutes from Nicolau Lobato International Airport. Air Conditioning, Own Bath Room, Satellite TV, Hot Water, Fridge, Some with Own Cooking Facilities, Serviced Daily, Washing, Off Road Parking, Linen Provided, Back up Power, Some with Internet. Location: Avenida 20 de Maio ( Antiga Rua Jacinto Cândido ), Audian, Dili, Timor - Leste. Air Conditioning, Own Bath Room, Satellite TV, Hot Water, Fridge, Serviced Daily, Washing, Off Road Parking, Linen Provided, 24 Hours Security, and Back up Power. Other Information: In The Heart of The City. Stay Length: Short & Long Term. Air Conditioning,Own Bathroom, Satellite TV, Hot Water, Fridge, Coffee Making Facilities, Serviced Daily, Washing, Meals Available,Off Road Parking, Linen Provided, Back up Power, Internet, Breakfast Included, and Restaurant. Other Information: Close to all Business Center and Located in the Heart of the City. Air Conditioning, Own Bath Room, Satellite TV, Hot Water, Fridge, Serviced Daily, Washing, Meals Available, Off Road Parking, Linen Provided, Back up Power, Internet, Breakfast Included, and Restaurant. Other Information: Near the Indonesia Embassy. Location: Avenida de Portugal, Kampung Alor, Dili,Timor - Leste. Beds: Single,Twin, Double, and Family. Air Conditioning,Own Bath Room, Satellite TV, Hot Water, Fridge ,Own Cooking Facilities, Serviced Daily, Washing, Meals Available, Off Road Parking, Linen Provided, Back up Power, Internet, Swimming Pool, Pool Table, Community Atmosphere. Lounge Bar, Restaurant , Dive Center, Fishing Charters. Air Conditioning, Own Bath Room, Satellite TV, Fridge, Own Cooking Facilities, Coffee Making Facilities, Serviced Daily, Washing, Off Road Parking, Linen Provided, Back up Power, and Internet. Air Conditioning Rooms, Hot Water, Fridge, Daily Cleaning Service, Laundry Services / Washing, Restaurant, Bar and Cafeteria opens daily from 7am - 7pm, Off road parking, Linen Provided, Back up Power, 24hrs Guards and Wifi on request. 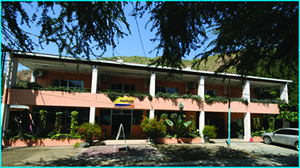 Walking distance to 2 of most known Supermarkets in Dili, also to Largo Lecidere park as one of the busiest park in Dili. Close by to no less than 5 good restaurants in the neighbourhood, Safe and Great Community Atmosphere. Air Conditioning,Own Bath Room, Satellite TV, Hot Water, Fridge, Serviced Daily, Washing, Light Local Lunches, Off Road Parking, Linen Provided, Back up Power, Internet, Breakfast Included. Air Conditioning, Own Bath Room, Hot Water, Fridge, Own Cooking Facilities, Serviced Daily, Washing, Off Road Parking, Back up Power, Breakfast Included,Gym, Bar & Restaurant, Wifi - Internet,We also have a club and meetings room for rent for events such as Birthday Parties, Corporate Events, Conferences, Seminars and Other important events. 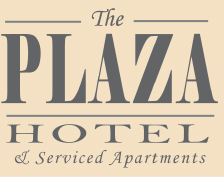 Close to all business centers and Located in the heart of the City. Air Conditioning, Own Bath Room, Satellite TV, Hot Water, Fridge, Coffee Making Facilities, Serviced Daily, Washing, Meals Available, Off Road Parking, Linen Provided, Back up Power Internet, Breakfast Included, Banquet / Function Facilities, 24 Hours Reception, Conference Facilities, Outdoor Swimming Pool, Gymnasium, Chinese / Western Restaurant, Meeting Room, Laundry Service, Security Guard ( 24 hrs ). Other Information: Next to Norwegian Embassy. Air Conditioning, Own Bath Room, Sat TV, Hot Water, Fridge, Own Cooking Facilities, Free Cooking Gas, Service Daily, Washing, Linen Provided, Off Road Parking, Back up power, Internet (Wi-fi), 24 hours Security, 24 hours CCTV. Always Helpful!. Long term rate is not including electricity. Air Conditioning, Own Bath Room, Coffee Making Facilities, Meals Available, Linen Provided, Off Road Parking, Breakfast available on request, Dive Centre, Snorkelling Tours, Stand up Paddle Boards, Dive Gear Hire and Trainning. Spectacular view over the bay, Short walk to Cristo Rei, Breakfast available on request. Air Conditioning, Own Bath Room, Satellite TV, Hot Water, Fridge, Own Cooking Facilities, Coffee Making Facilities, Serviced Daily, Washing, Off Road Parking, Linen Provided, Back up Power, Internet. Facilities: Air Conditioning, Own Bath Room, Satellite TV, Hot Water, Fridge,Serviced Daily, Washing,Off Road Parking, Linen Provided, Back up Power, Internet, Breakfast Included. Beds: Single, Twin, and Double. Air Conditioning,Own Bath Room, Satellite TV, Hot Water, Fridge, Coffee Making Facilities, Serviced Daily, Washing,Off Road Parking, Linen Provided, Back up Power, Internet, Breakfast Included. Other Information: Hotel Audian Located in the City Centre. Beds: Single, Twin, Double,One Bedroom Studio and 2 Bedroom Apartments. Air Conditioning, Own Bath Room, Satellite TV, Hot Water, Fridge, Own Cooking Facilities,Serviced Daily, Washing, Meals Available, Linen Provided, Back up Power, Internet, Breakfast Included. Clean and functional rooms with a budget price. Air Conditioning, Own Bath Room, Satellite TV, Hot Water, Fridge, Serviced Daily, Washing, Meals Available, Off Road Parking, Linen Provided, Back up Power, Internet. Air Conditioning, Own Bath Room, Satellite TV, Hot Water, Fridge,Coffee Making Facilities, Serviced Daily, Washing, Off Road Parking, Linen Provided, Back up Power, Internet, Breakfast Included. Other Information: In the heart of the City, Close to Commercial Business. Air Conditioning, Own Bath Room, Satellite TV, Hot Water, Some With Fridge, Serviced Daily, Washing, Off Road Parking, Linen Provided, Back up Power. Air Conditioning, Own Bath Room, Satellite TV, Hot Water, Fridge, Serviced Daily, Washing, Meals Available, Llimited Off Road Parking, Linen Provided, Internet All Rooms. Air Conditioning,Own Bath Room, Satellite TV, Hot Water, Frigde, Own Cooking Facilities, Coffee Making Facilities, Serviced Daily, Washing, Meals Available, Off Road Parking, Linen Provided, Back up Power, Internet, Breakfast Included. Air Conditioning, Own Bathroom, Satellite TV, Hot Water, Fridge, Own Cooking Facilities, Serviced Daily, Washing, Off Road Parking, Linen Provided, Backup Power. Air Conditioning,Own Bath Room, Satellite TV, Hot Water, Fridge, Serviced Daily, Washing, Off Road Parking, Linen Provided, Back up Power. Other Information: Walking distance to beach, Near Stores and Restaurants. Air Conditioning, Own Bath Room, Satellite TV, Hot Water, Fridge, Coffee Making Facilities, Serviced Daily, Washing, Meals Available, Off Road Parking, Linen Provided, Back up Power, Internet, and Breakfast Included. Other Information: Located at Beach Front. Beds: Single, Twin, Double and Familiy. Air Conditioning, Own Bathroom, Satellite TV, Hot Water, Fridge, Own Cooking Facilities, Coffee Making Facilities, Serviced Daily, Washing, Meals Available, Off Road Parking, Linen Provided, Back up Power, Internet , Breakfast Included, Bar and Restaurant. In the heart of the City, and Government Offices. Air Conditioning,Own Bathroom, Satellite TV, Hot Water, Fridge,Own Cooking Facilities,Coffee Making Facilities, Serviced Daily, Washing, Off Road Parking,Back up Power, Internet, Breakfast Included. 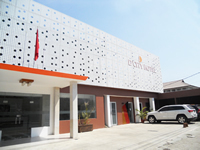 Get away to D'City Hotel Luxury Accomodation !Looking for quality holiday and business trip accomodation in Dili, for you and family or friends. Then D'City Hotel accomodation is exactly what you need. 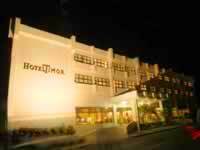 Ideally located in the Heart of Timor-Leste capital. within walking distance to beaches and local shops. Feel free to contact us anytime for more information. Air Conditioning, Own Bath Room, Satellite TV, Hot Water, Fridge, Own Cooking Facilities, Coffee Making Facilities, Serviced Daily, Washing, Meals Available, Off Road Parking, Linen Provided, Back up Power, Internet, Breakfast Included, and Swimming Pool. Other Information: All prices including 60 Channels of TV, Free Internet, Breakfast, Laundry, Cleaning Service, Swimming Pool, & 24 Hours Security. Air Conditioning, Own Bathroom, Satellite TV, Hot Water, Fridge, Own Cooking Facilities, Coffee Making Facilities, Serviced Daily, Washing, Off Road Parking, Back up Power,Internet, and Play Room ( Snooker ). Air Conditioning, Own Bath Room, Satellite TV, Hot Water, Fridge, Own Cooking Facilities,Coffee Making Facilities, Serviced Daily, Washing, Meals Available,Off Road Parking, Linen Provided, Back up power, Internet. Other Information: Located in the City Centre. 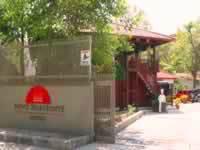 Bar & Restaurant with International Cuisine, Buffet Breakfast, Laundry & Housekeeping with 7 days service. In all rooms: TV Sattellite with 60 international channels, Internet Wi-Fi, Refrigerator, Air-Conditioning, Own bathroom, Hot Water, Linen provided, Backup power, Travel services in Coffee Shop. Familiar Environment, Private Garden, Wooden Houses in Balinese Style Villas. Location: Avenida Nicolau Lobato, Fatuhada ( Behind Landmark Plaza ), Dili, Timor - Leste. 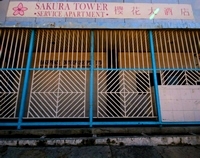 * Air - Conditioning * Kitchen with dining place * Fridge * Own Cooking Facility * Coffee Making Facility * Own Bathroom with Hot and Cold Water * Beddings, Pillow, Blankets are Provided for Free * Back up Power *TV with Cable * Free Laundry Service * Daily House Keeping Service * Tenants Facility area * Free Usage Area for Birthdays and Other Occasions * Free Parking Space * Free Gym Facility * 24/7 Security. * 5th floor - Conference Room for Lease with the seating capacity of 300 - 400 people. Air Conditioning, Own Bath Room, Satellite TV, Hot Water, Fridge, Own Cooking Facilities, Coffee Making Facilities, Daily Cleaning Service, Washing, Off Road Parking, Linen Provided, Back up Power, Internet, 24 - Hour Security, CCTV, Over 60 Cable TV Channels. Central and Convenient Locations, Power Showers, 5 - Star Beds, Clean Enviroment, Visit us at Audian ( City Centre ). Air Conditioning, Own Bath Room, Satellite TV, Hot Water, Fridge,Own Cooking Facilities,Coffee Making Facilities, Serviced Daily, Washing,Off Road Parking, Back up Power, Internet, Gymnasium, Common Garden, Security 24 Hours. Our concept it is for the first boutique guest house in Timor-Leste, including the traditions and hospitality of Timor and the Lusophone world. Free Bicycle, Air Conditioning, Satellite TV, Hot Water, Fridge, Own Cooking Facilities, Coffee Making Facilities, Serviced Daily, Washing, Meals Available, Off Road Parking, Linen Provided, Back up Power, Internet, Breakfast Included, Restaurant & Bar, 24-Hour Security, Laundry Included, Airport Transport. Our Hotel is around 20 minutes from the airport, a nice Hotel to stay at and very friendly, please enjoy your stay. Air Conditioning, Own Bath Room, Satellite TV, Hot Water, Fridge, Some with Own Cooking Facilities, Serviced Daily, Washing, Off Road Parking, Linen Provided, Back up Power, Internet, Gazebo Relaxation Area, Good Water. From US $ 85 per Night - US $ 2500 per Month. Location: Avenida Praia dos Coqueiros,Bebonuk - Ocean Front, Dili, Timor - Leste. Two(2) Air Conditioners, Own Bath Room, Two(2) Satellite TV, Hot Water, Fridge, Own Cooking Facilities, Coffee Making Facilities, Serviced Daily, Washing, Meals Available, Off Road Parking, Linen Provided, Back up Power, Internet , Breakfast Included, Transfers To and From Airport, Swimming Pool and Restaurant. Hotel situated at Beach Front, Car parking area, Easy Access, Close to Embassies and Airport With Modern Facilities, Friendly Staff. Location: Aldeia Metin II, Bebonuk, Dili, Timor-Leste. Well-equipped Gym, Exclusive Pool for Tenants, Spacious Parking Space, Private Garage. Wifi Access, Electricity, Water, Cable TV, Air-conditioned Rooms, Shower Heater, Kitchen Utensils, Bedding and Linens, Furniture and Appliances. Daily Cleaning, Washing and Ironing Service, On-call Maintenance. Newly built 2-storey, 3 & 4 bedroom units available for move in starting October 15th, 2018. Location is very accessible to shops (Timor Plaza, Centro Supermarket) restaurants (Spooner's Bar, ARU Restaurant, Jade Restaurant and a lot more). Air Conditioning, Own Bath Room, TV Cable, Hot Water,Fully Equipment Kitchen, Serviced Daily, Laundry, Off Road Parking, Linen Provided, Back up Power, Internet, 24 - Hour Security, Swimming Pool - Outdoor, Fitness Gymnasium, Barbecue Area. Other Information: Exclusivity and Privacy Guaranteed, with Only 10 Residences. Private Fenced Garden (35m2). Excellent Services and Professional Staff. Air Conditioning, Own Bath Room, Satellite TV, Hot Water, Fridge,Coffee Making Facilities, Serviced Daily, Laundry, Offroad Parking, Back up Power, Internet, Breakfast Included, 24 Hours Security, Swimming Pool – Outdoor, Fitness Gym, Restaurant. 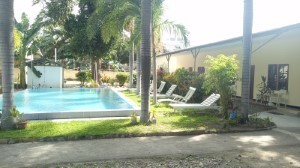 Close to Nicolau Lobato International Airport , Quiet, Mountain View, Nice Garden, and Friendly Staff. Private Parking, Excellently Appointed Rooms / Houses, Free Internet (Wireless), Direct Contact with Local Tour Operators from JJ Tours. 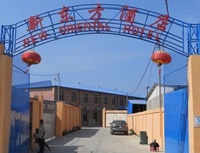 Air Conditioning, Own bath room ( Hot & Cold Shower ) , Satellite TV, Fridge, Tea / Cofffee making facilities, Safe deposit box, Hotel standart amenities, Return airport transfer, Unlimitied Broadband internet, Laundry service, Off road (Off street parking ), Room Service, Buffet Breakfast and Happy Hour . Located close to Parliament House, Popular Cafes, Supermarket and within strolling distance of beach. Air Conditioning, Own Bath Room, Satellite TV, Hot Water, Fridge, Cofffee Making Facilities, Serviced Daily,Off Road Parking, Linen Provided, Back up Power, Breakfast Included and Bar. The only beach side bungalow in Dili. Come and enjoy the best beach view and Sunset in East - Timor. From US $ 115 per Night . Air Conditioning, Own Bath Room, Satellite TV, Hot Water, Fridge, Coffee Making Facilities, Serviced Daily, Washing, Meals Available, Off Road Parking, Back up Power, Internet, Breakfast Included, Swimming Pool, Restaurant. Other Information: Near the airport, Along the beach road. Location: Avenida da Restauração ( Antiga Rua Terra Santa), Dili, Timor - Leste. Air Conditioning, Own Bath Room, Satellite TV, Hot Water, Fridge,Own Cooking Facilities, Serviced Daily, Washing, Meals Available, Off Road Parking, Linen Provided, Back up Power, Internet, Breakfast Included, Outdoor Swimming Pool, Gymnasium, 24 Hours Security, CCTV 24 Hours Available, Smoker detector in every unit. Other Information: Just Three (3) Minutes from the Nicolau Lobato Airport . Air Conditioning, Own Bath Room, Satellite TV, Hot Water, Fridge, Own Cooking Facilities, Coffee Making Facilities, Serviced Daily, Washing, Meals Available, Off Road Parking, Linen Provided, Back up Power, Internet , Gym, Swimmimg Pool, 24 Hour Security, Fully Furnised, Private Pool Inside Villa's. New Luxury Villa's in Town, Suitable For Expatriate or Family, A place where you can feel the sweetness of holidays . Air Conditioning, Own Bath Room, Satellite TV, Hot Water, Fridge, Own Cooking Facilities, Serviced Daily, Washing, Free Shuttle Service, Off Road Parking, Linen Provided, Backup Power, Internet, Linen, Breakfast Included, Bar, Gymnastic, Swimming Pool and 24hr Security. From US $ 130 per Night - Monthly Rate Available on Request. Aiir Conditioning, Own Bath Room, Satellite TV, Hot Water, Fridge, Own Cooking Facilities, Coffee Making Facilities, Serviced Daily, Washing, Meals Available, Off Road Parking, Linen Provided, Back up Power, Internet ,Breakfast Included, Swimming Pool, Sport Center and Restaurant. Hotel Located in City Center and Just 5 Minutes Driving from Presidente Nicolao Lobato International Airport, Dili - Timor Leste. Air Conditioning, Own Bath Room, Satellite TV, Hot Water, Fridge, Some with Own Cooking Facilities, Coffee Making Facilities, Serviced Daily, Washing, Meals Available, Off Road Parking, Linen Provided, Back up Power, Internet, Breakfast Included, Banquet / Function Facilities, Bar(s), Swimming Pool, Business Centre , Conference Facilities, Dili's Leading Hotel, Fax, Meeting Room(s), Doctor / Nurse on Call , Airport to Hotel Transfer ( Extra Charge), Secretarial Service, Security Guard 24 Hours. Beds: Single, Twin and Double. Air Conditioning,Own Bathroom, Sat TV, Hot Water, Fridge, Coffee Making Facilities, Serviced Daily, Meals Available, Off Road Parking, Linen Provided, Back up Power, Internet, Breakfast Included, Lounge Bar, Private bar & Karaoke room, The Malus Spa, Ballroom for meeting & convention. Other Information: Novo Turismo Resort & Spa the art of balancing business and leisure. Air Conditioning, Own Bath Room, Satellite TV, Hot Water, Fridge, Own Cooking Facilities, Coffee Making Facilities, Serviced Daily, Washing, Meals Available, Off Road Parking, Linen Provided, Back up Power, Internet, Breakfast Included, Gym, and Pool, Sky Garden, Conference Room, Ballroom, Panorama, Restaurant,Orchid Restaurant, 24 Hours Security. The 3.5 star, 50 room hotel caters for the business traveler who wants to enjoy the convenience of a centrally located property with the additional business facilities such as meeting room and convention centre. Air Conditioning, Separate Living Room/Dining/Kitchen, 60 Channels Cable TV & Home Theatre System, Centralized Hot Water System, Bath-tub, Open-Sky Shower, Fridge, Own Cooking Facilities, Serviced Daily, Housekeeping & Laundry, Linen provided, Back-up Power, Wifi, 24 Hours Security. Other Information: Spacious, Peaceful, Quality Fittings & Furnishings. Just Launched in June 2013. Brand New. Air Conditioning, Own Bath Room, Satellite TV, Hot Water, Fridge, Own Cooking Facilities, Serviced Daily, Washing, Linen Provided, Restaurant and Supermarket close by. Other Information: Central city location - Burger King, Gloria Jeans, K'manek, Other good restaurants close by. Air Conditioning, Own Bath Room, Satellite TV, Hot Water, Fridge, Own Cooking Facilities, Serviced Daily, Washing, Meals Available, Off Road Parking, Linen Provided, Back up Power, Internet, Breakfast Included, Swimmimg Pool, Bar and Restaurant. Air Conditioning, Own Bath Room, Satellite TV, Hot Water, Fridge, Own Cooking Facilities, Serviced Daily, Washing, Off Road Parking, Back up Power and Swimming Pool. Our place located in Comoro Pantai Kelapa near to the beach. Air Conditioning, Own Bath Room, Satellite TV, Hot Water, Fridge, Own Cooking Facilities, Coffee Making Facilities, Some with Serviced Daily, Washing, Off Road Parking, Backup Power, Internet, Bar and Restaurant , Gymnastic, Swimming Pool, Tennis, Squash and 24hr Security. Other Information: Life style living expatriate housing and services. Air Conditioning, Cable TV, Hot Water, Fridge, Oven, Microwave, 3 hob stove top, Private Garden, Private Covered Parking, Back up power and Transformer, Filtered Water, 24 hrs security, CCTV. Other Information: Sea view & Mountain view villas. Central laundry and drying area. High quality appliances and fittings. On suite bathrooms for each bedroom. 4 meter high living room ceiling. Custom hard wood furniture from Bali & Singapore. Close to beach and popular restaurants in town. Air Conditioning, Own Bath Room, Satellite TV, Hot Water, Fridge, Own Cooking Facilities, Coffee Making Facilities, Serviced Daily, Washing, Off Road Parking, Linen Provided, Back up Power and Swimming Pool. Other Information: At long term tenant with diplomat accommodation / homes. Location: Rua de Malinamoc - Comoro, Dili, Timor - Leste. Air Conditioning, Own Bath Room, Satellite TV, Hot Water, Fridge, Own Cooking Facilities, Coffee Making Facilities, Off Road Parking, Linen Provided, Back up Power, Private Garden, Weekly Pest Control, and Communal Swimming Pool. Other Information: Option furnished, Double brick houses, 3 spacious bedrooms ( 2 with ensuite), Large living room & kitchen, Private Garden, 24/7 hours Security and On call maintenance. Air Conditioning, Own Bathroom, Cable TV, Hot Water, Fridge, Own Cooking Facilities, Washing, Off Road Parking, Linen Provided only by request, Back up Power, Pool and Security . Beach Front Apartments with Mountain Views, Close to restaurants. Safe, Quiet and a Relaxing Environment. Air Conditioning, Own Bath Room, Satellite TV, Hot Water, Fridge, Own Cooking Facilities, Coffee Making Facilities, Serviced Daily, Washing, Meals Available, Off Road Parking, Linen Provided, Back up Power, Internet, Breakfast Included, Gym, and Pool. Family Homes with 3 Bedrooms, Fully Furnished, Garden and Play Ground, We Give Priority to Your Comfort, make Your Self at Home. Own Bathroom, Hot Water , Washing, Meals Available, Off Road Parking, Linen Provided, Back up Power. Other features : Fans, Lights and Power in tents, BBQ Area, Swimming Beach, Restaurant open 8.00 am - 8.00 pm ( 7days ). Every tent faces the beach with private seating area. Air Conditioning, Own Bathroom, Sat TV, Hot Water , Service Daily, Washing, Meals Available, Off Road Parking, Linen Provided, Back up Power, Breakfast included. Other features : Beach front with Sandy Beach. Dolphins regularly pass my close to the beach. Wafes can be sighted in October and November. Elevated beach side location with sweeping views of Tibar bay and Atauro island, A great place to get away from it all. Air Conditioning, Own Bath Room, Sat TV, Fridge, Hot Water , Coffee Making Facilities, Washing, Meals Available, Off Road Parking, Linen Provided, Back up Power, Internet, Breakfast Included. Other Features : Swimming Pool and Spa, Garden Setting. Full facilities in village location and friendly family atmosphere, 12 rooms available, 5 under construction.